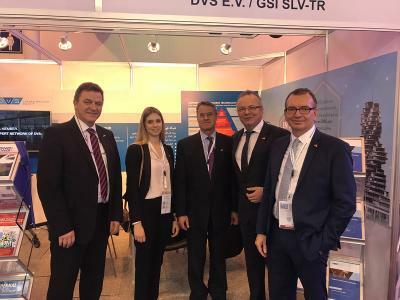 Last year, there was the German joint booth (German Pavilion) at the SteelFab fair in Sharjah, United Arab Emirates (UAE), for the first time on the initiative of the German Welding Society (DVS). This year too (from January 15 to 18), 16 German exhibitors were able to profit from a joint appearance on the German Pavilion under the auspices of the Federal Ministry of Economic Affairs and Energy (BMWi). 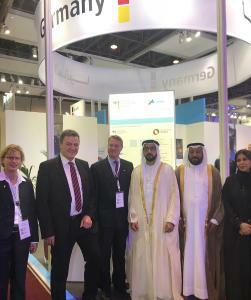 The government of the emirate of Sharjah (represented, in particular, by Sheikh Fahim bin Sultan Al Quasimi and HE Abdullah Sultan Al Owais), Saif Al Midfa, Chief Executive Officer of the fair centre called the Expo Centre Sharjah, as well as Günter Rauer, Consul General, visited the German joint booth during the opening of SteelFab. Professor Dr.-Ing. Heinrich Flegel, President of DVS, and Dr.-Ing. Roland Boecking, General Manager of DVS, explained the function of the German Pavilion and the activities of DVS to the prominent guests. In this respect, there were also discussions about the significance of welding technology training in the UAE. 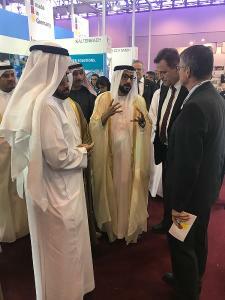 It was shown that the government of Sharjah has a great need for an educational establishment in situ according to the role model of DVS and its affiliated company, GSI - Gesellschaft für Schweißtechnik International GmbH. Especially in the emirate of Sharjah, large-scale welding technology structures are being fabricated with welders from India and Pakistan. 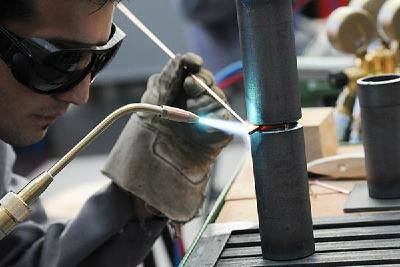 In particular, the EXPO 2020 in Dubai is ensuring an additional demand for qualified welding technology personnel here. DVS will now elaborate a concept and make this available to the Consul General for further consultations. "We are pleased that the wish for our welding technology know-how in the UAE was formulated at the highest level," stated Flegel, DVS President. DVS is now holding discussions with GSI in Germany in order to talk about how to proceed for an educational establishment in Sharjah. In the year before, the subject of "training and further education in welding technology" had already been a top subject on the fair booth of DVS. This time too, DVS was able to register a strong demand from the interested visitors. This year, the society was once again represented with its own booth together with GSI SLV-TR, Turkey, a foreign company belonging to GSI; but this time on the new ESSEN WELDING & CUTTING PAVILION @ SteelFab organised by Messe Essen GmbH. 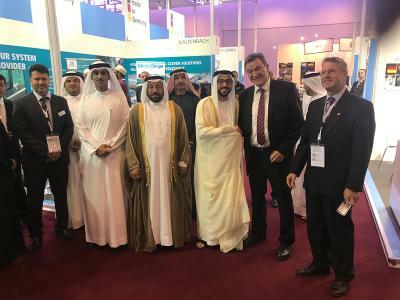 With its pavilion, the longstanding partner of DVS offered the exhibitors at the world's premier fair, SCHWEISSEN & SCHNEIDEN, the springboard into an important market in the Middle East. 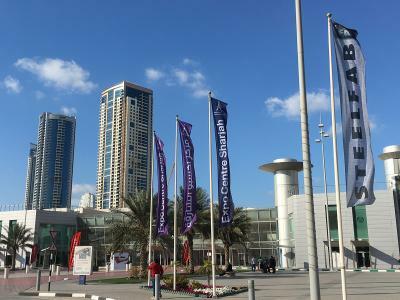 The discussions at SteelFab about a possible educational establishment for welding technology training were a great success for DVS and a valuable contribution to the dissemination of joining technology knowledge in the UAE. The next SteelFab will take place in January 2019. 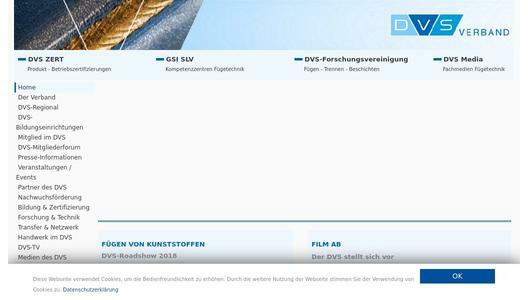 DVS files funding applications for international trade fairs from the joining technology sector with the Association of the German Trade Fair Industry (AUMA). After examination, the applications are submitted to the Federal Ministry of Economic Affairs and Energy (BMWi). After the approval of the funding application, an implementation company organises the German Pavilion. At SteelFab 2018, DEGA-EXPOTEAM GmbH organised the German joint booth. 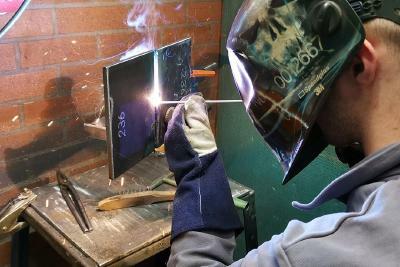 The German Welding Society (DVS) is a technical-scientific society which, encompassing 120 years of experience, is dedicated to the more than 250 different processes for joining, cutting and surfacing. The heart of all DVS activities is the joint technical-scientific work. It stands for the persistently close interlinking of contents and results from the fields of research, technology and education. The affiliated companies of DVS process the results from the society and present them to the outside with their own main focal points. The head office of the society recognised as non-profit-making is in Düsseldorf. The all of 19,000 members are looked after directly in situ by the 13 DVS state branches and the 75 DVS district branches. Together, all the members of the society are committed to joining technology suitable for the future in every respect.